Beautifully rehabbed 2 bedroom/2 bathroom home in Shrewsbury! Wide open floor plan with refinished hardwood flooring, wood burning fireplace, newer windows that provide tons of natural light, granite counter tops and much more. The main level is completely open making this space conducive for any lifestyle whether you like to entertain or just cozy up next to a warm fire. Upstairs you will find a large bedroom with TONS of closet space, a full bathroom and a sitting area. The upper level has been completely re-finished and could be used as a masters retreat OR a children's room and play area. Tuck under garage. Freshly painted, clean basement. Outdoor patio. 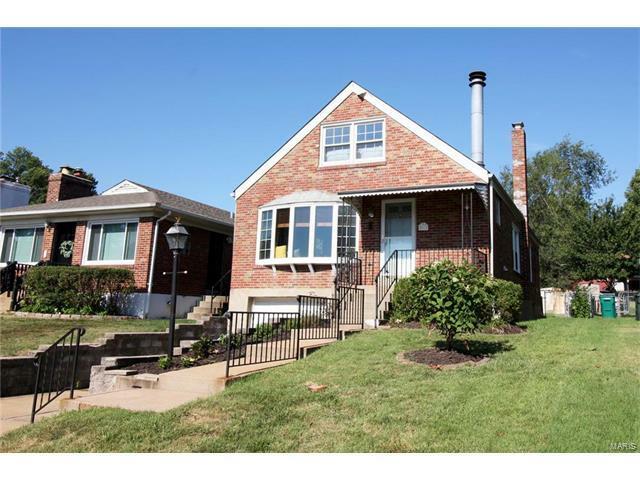 Quiet street in desirable Affton School District.